Excitement. That is the first word that comes to mind when I remember how it felt to arrive at Colorado State University (CSU) for the 24-hour launch of MISSion Innovation. It was a wonderful event. An inspiring collaboration. A priceless experience. The amount of female brain power in the room was energizing, and it taught me much more than a few math equations or a couple new scientific principles. I learned how to branch out of my comfort zone and handle the stress of managing a large event. Upon entering the building, a new wave of confidence hit me. I exited my car a little anxious about what was going to happen, but upon entering the building, I felt something different. I have always questioned my own abilities, and for some reason I usually assume that I am inferior to other people in the room. 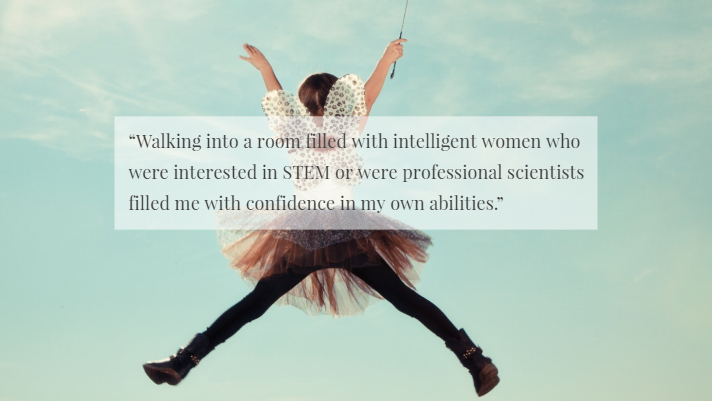 Walking into a room filled with intelligent women who were interested in STEM fields or who were professional scientists, however, filled me with confidence in my own abilities, and not in a competitive way. Women are often taught that they have to make themselves better than everyone else, but in that room there was no competition. Every single participant was there to add her ideas and thinking into one project: MISSion Innovation. That feeling of complete confidence is something I think I will carry with me for the rest of my days. This new wave of confidence wasn’t all internal. Usually I am a very shy around people who I don’t know very well, and MISSion Innovation was a place of no fear. I wasn’t nervous about meeting all the new people as soon as I stepped inside. It was really nice to be surrounded by women who were interested in the same things as me. 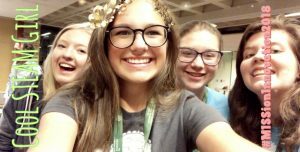 I met a ton of girls from all over Colorado who were in the same grade as I am, who are interested in the same engineering fields as me, or who liked the same music as I did! Opening up to people is not something that I am very good at, and MISSion Innovation helped me build lasting social skills in the short 24 hours I was there. However short those 24 hours may have seemed, a LOT happened. I was pleasantly surprised with how amazing every single one of the teams’ prototypes and ideas were. After touring the room I soon realized that I had not fully wrapped my head around the kind of projects the event would produce. The projects being worked on had so thoroughly been researched and prototyped that after the first 4 hours of being at MISSion Innovation I wanted to find funding for every single one of them. It’s not that I hadn’t expected to find projects like that while organizing the event, it was just an incredible experience to witness the outcomes of intense female brain power. When I graduate high school at the end of next school year, I want to go into Environmental Resource Engineering. At MISSion Innovation, I had the opportunity to listen to CSU professors discuss, for example, renewable energy systems and behavior change around energy consumption. I even found myself lucky enough to meet the professionals who judged the teams’ prototypes and a CSU student who currently studies Environmental Engineering. This only fueled my passion for the environment and makes me super excited to go into an engineering field to help save it. I could not have gotten more out of this event, and I can’t wait for next year. Throughout the entirety of MISSion Innovation, my favorite part had to be the showcase at the very end. Seeing all of the prototypes and talking to all the participants just filled me with joy. Members of the Fort Collins community who attended the showcase were amazed at our event. The best part about creating something is being able to share it, and I cannot wait to see the next steps that teams are now taking to develop their prototypes to reduce CO2 emissions. 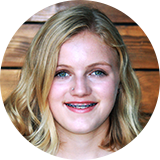 My name is Madeleine (Madzie) Boyles and I am an 11th grade student at Thompson Valley High School. In my free time I like to read, run, and ride my bike. When I graduate high school, I would love to become an environmental engineer. I first got involved with Pretty Brainy when I participated in the Pretty Brilliant workshop at the age of 12. Since then, I have participated in more workshops, taught Pretty Brainy’s middle school coding workshop, and helped organize MISSion Innovation! Pretty Brainy has done amazing things for me, and I want to connect girls like me to the same opportunities.